He may not have come forward as the secret footballer publicly, but there's no escaping that he's venturing into management! 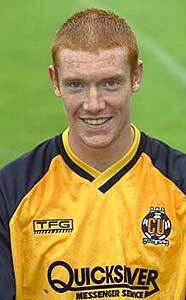 One of my all-time favourite Cambridge United players is my new persona for my latest thread. David Barry Kitson, or Big Dave'll do. Set up with realistic attributes with a solid base to build on. He believes in developing young local players, but would rather leave the backroom staff to deal with them! This is the basis of the club I love. 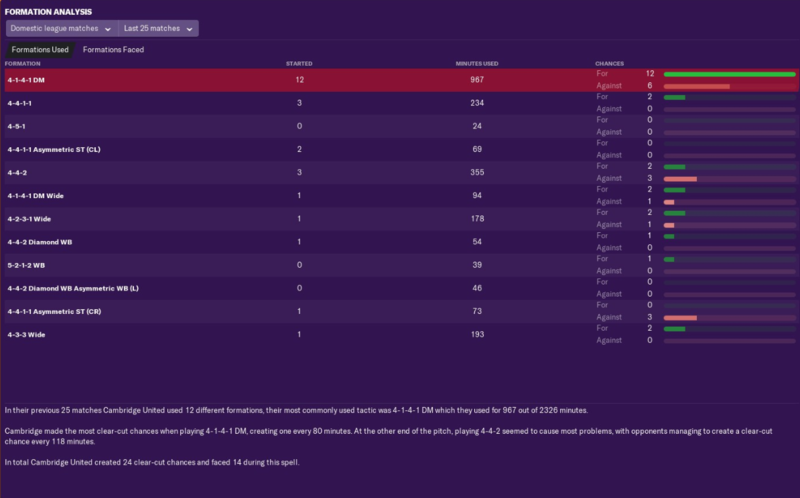 After settling in League 2 for 3 seasons after a long stint in non-league, we're now looking to build on it and push up the league. 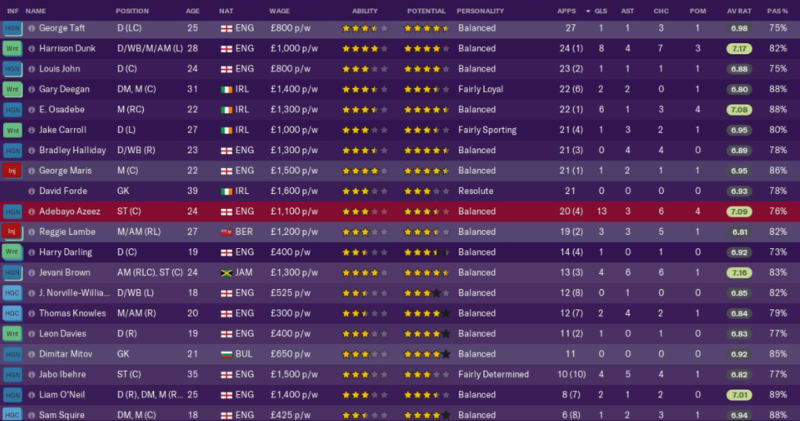 However the budget isn't there and key players of previous years haven't been replaced - Uche Ikpezu and Luke Berry! 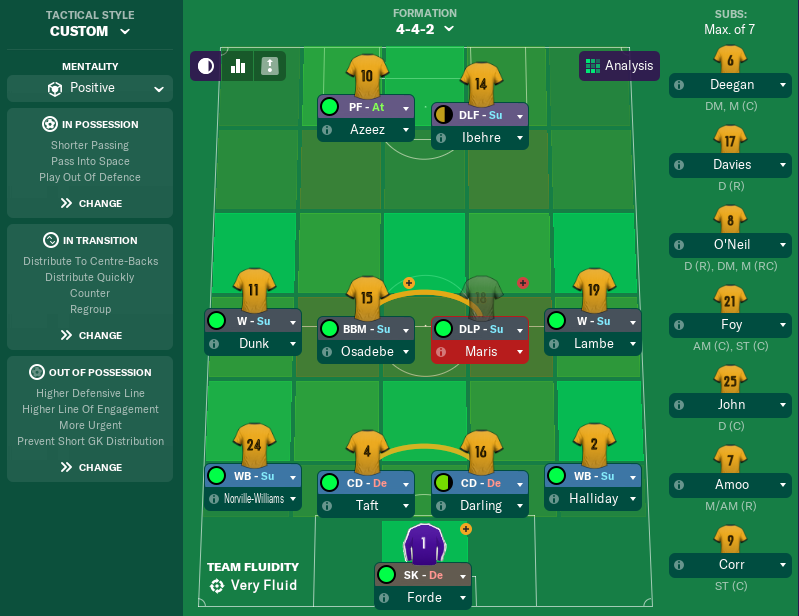 I'm going to going into full detail within the save myself, no IRing, plug and play and I will be looking to develop the crop of youngsters we currently have. Next update will be after the pre-season! 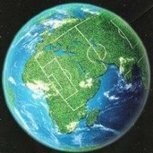 Join the ultimate football insider as he takes you on a journey into the darkest corners of the footballing world. From Diablo tactics to 3-striker exploits, and from urCristian rituals to Moyes-egean massages, no stone is left unturned. This is football as you've never known it. Honest, fearless and opinionated, as always, by the last page, you'll be asking yourself once again -- who is The Secret Footballer? Paperback, 247 pages. Published December 31, 2018 by Guardian Books. Cambridge!!!!!!!!!!!!!!!!! My favorite English club, let's go. He wont approve of the football we've been playing. Not enough hoofing and players are allowed to dribble! Oooh good to hear, they're my team! Added to the opening post. It had to be, didn't it? Overall a solid pre-season. Disappointment in the 0-0 with Hornchurch where we struggled to put away our chances and a 2-0 loss at home to Scunthorpe who were went too offensive against early on and were picked off. An excellent 0-0 against a full strength Arsenal and a thrashing of old enemies Histon finished off our pre-season in style. This will be our default tactic. A positive approach without throwing too much forward, whilst playing out from the back and keeping it on the floor for 'good' football. A more attacking version which counter presses, sacrifices our DM for another MC and pushes the wingers further forward. This is for when we are clear favourites, struggling to break teams down or are in desperate need of a goal. Extremely Similar to our go to tactic, but cautious and gives less freedom to our full backs. Maris is the beating heart of the side. He could play in a more attacking role if needed, but he will primarily be our deep-lying playmaker. Hopefully we can get him to sign a new contract! Jevani was one of the stand out performers in the overall average 2017/18 campaign. He's been out with a long term injury but is back in a few weeks. Not entirely sure where he will fit in the system or whether we adapt to include him as AMC. 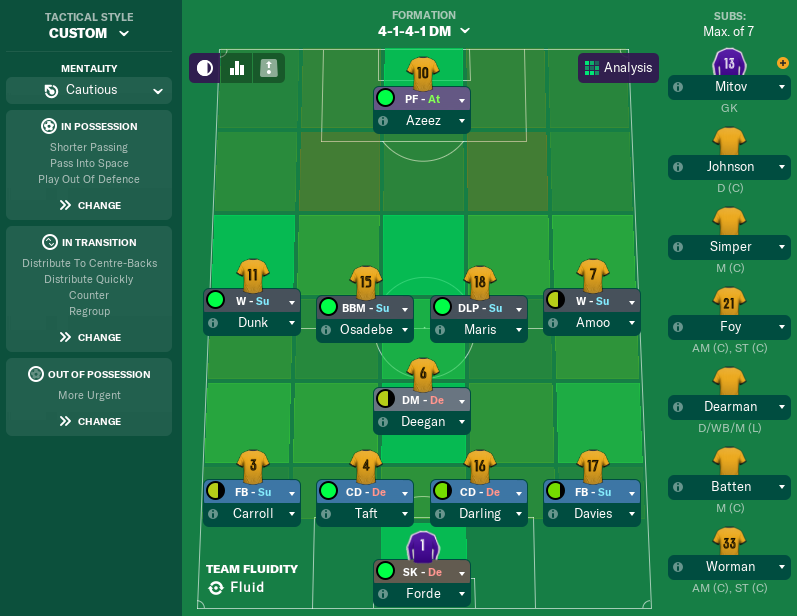 Captain Deegan is a bit of a nutter, but he will be our primary defensive midfielder or ball winner. Harrison is the longest serving player at the club having joined in 2011. He's a great option all the way down the left side, though I'd always prefer him being more advanced. Halliday has missed the pre-season through injury but when fit he will be a key component to our side. 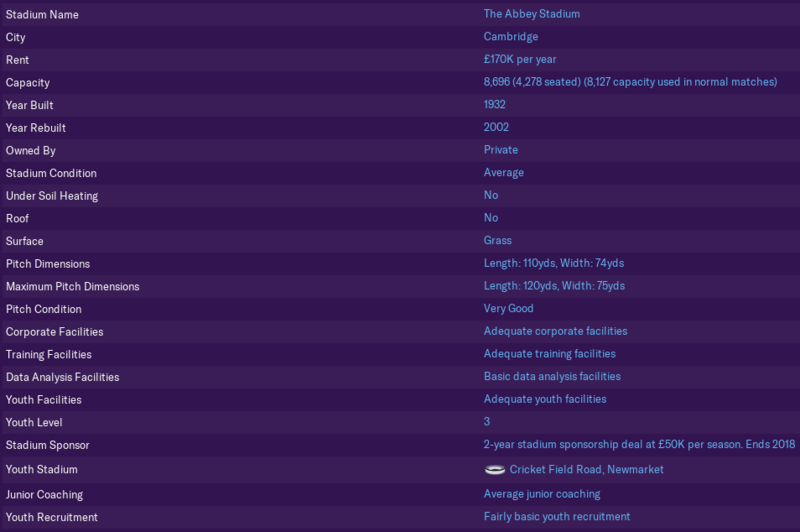 A mass overhaul to our backroom staff after applications to job adverts came through has been the only turnover in the club - budgets have been disabled in the first window. It's interesting to see some big names applying for lower level jobs - Tony Adams, Patrik Andersson, John Salako and Jonathan Greening included. A tough first month awaits with all the clubs we face in the league predicted to finish above us, while Notts Co, Northampton and Exeter are all expected to be fighting for playoff positions. We've been drawn against bitter rivals Peterborough in the League Cup which is something to look forward to! You'll be asking yourself "Why the f**k have I just subscribed to Equimagic?" August 2018 Update - F*** Off Evans! Overall a great month to kick-start Big Dave's career in football management. Exeter looked a very good side and I can see them being right up there with the promotion run in. We came close to an upset against my most hated club and most hated manager. I utterly despise Steve Ev*ns and the P*sh. At 1-0 all we needed to do was see the game out but hot-headed Maris went steaming in and gave away a penalty in the 89th minute and we went on to lose on penalties. Punches were nearly thrown in the dugouts. 4 wins from 5 got Kitson in the run in for manager of the month. A great run of goals in 3 successive games from the wing means Harrison wins our player of the month award - he went off injured against Exeter but will be back in action soon. Smells Like Teen Spirit - Youngsters!!!! Sam Squire is a solid all rounder who can perform a variety of roles in midfield. Got a 6.9 on his debut coming on as a box-to-box midfielder in the 55th minute vs Notts County. Ideally we will get his determination up! Fin has gone on loan to Hereford in the Conference South to gain valuable first team experience. He could become our no. 1 in the future. 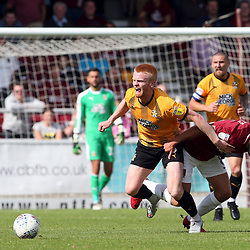 After an impressive pre-season campaign Jordan started the season as first choice left back and did very well in the opening two games of the season, although not so great in his last two appearances. Nevertheless he has the quality to push Jake Carroll for the left back position. 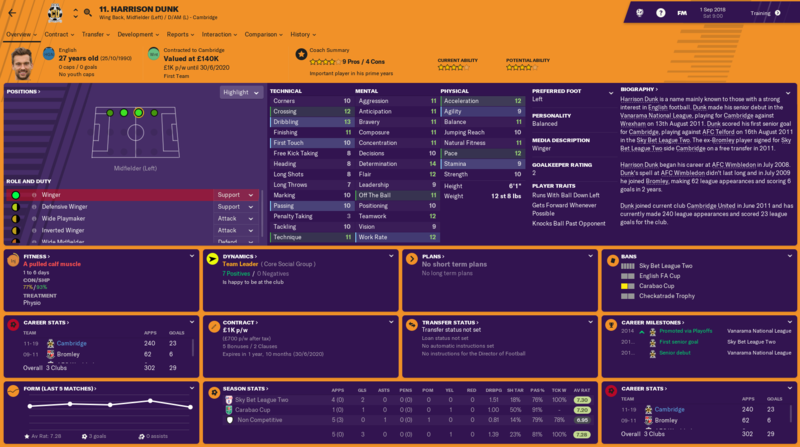 Leon has been our first choice right back while Bradley Halliday has been recovering from injury adding to his 9 first team appearances last season. Out of all our youngster, Davies is the most first-team-ready. Watkins needs a lot of work, but he could become a decent creative type in midfield. Yet to play any competitive football for the first team. Dars is another player right on the cusp of the first team, making 3 appearances last season and already 3 appearances this season. He's got every chance of working his way into the starting 11. Matty had a very good pre-season campaign grabbing 5 goals and even started the first league game of the season. He has since lost his place in the team to Adebayo Azeez but don't rule him out! With two first team players - Lambe and Amoo - vying for the right wing position Knowlesy has been on the periphery. He will go out on loan soon if he hasn't managed to force his way into the squad. Train hard kid! 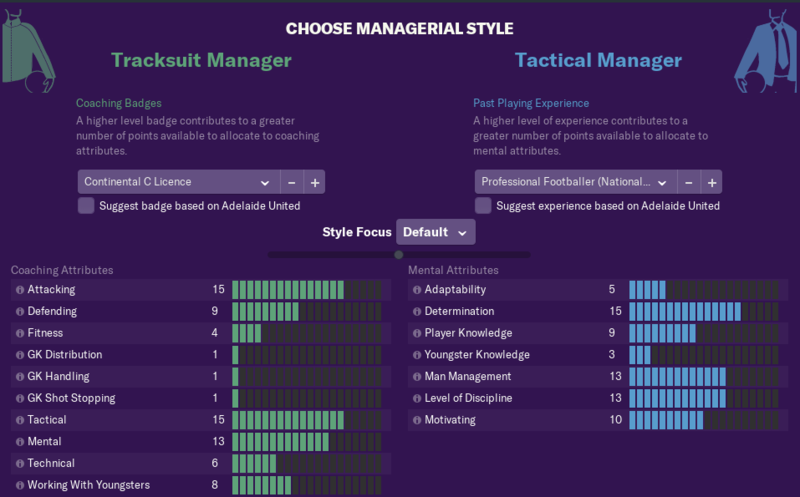 After letting my assistant control the pre-season and August training while I focused on building the tactic, I've now decided to take more control. This training programme is built around how I want us to play. A solid defensive foundation, but an attractive attacking style going forward. Fitness will be very important! Our only defeats have come on our travels, 2-1 defeats to Colchester, Swindon & Newport. We're now playing some nice attacking football which is great to watch. Up into 2nd place, a very comforting place to be at this stage. There's a long season ahead of us though! Harrison Dunk and Jevani Brown have been our standout performers - although the latter picked up yet another injury. Squire, Knowles and Darling have been the standout youngsters so far. The team seem to think that now Greg Taylor is back from injury he should be starting. I told them he's going to have to work hard to get back in! A big new contract for the player that keeps us ticking over. Maris is a class player, would be great to give him more freedom but to do so would require getting in another more creative midfielder to dictate from deep. What an absolute muppet. Matty has had plenty of first team football but has just ruined his chances of a proper breakthrough after this. He's rejecting loans to our feeder clubs but his days are numbered this season. 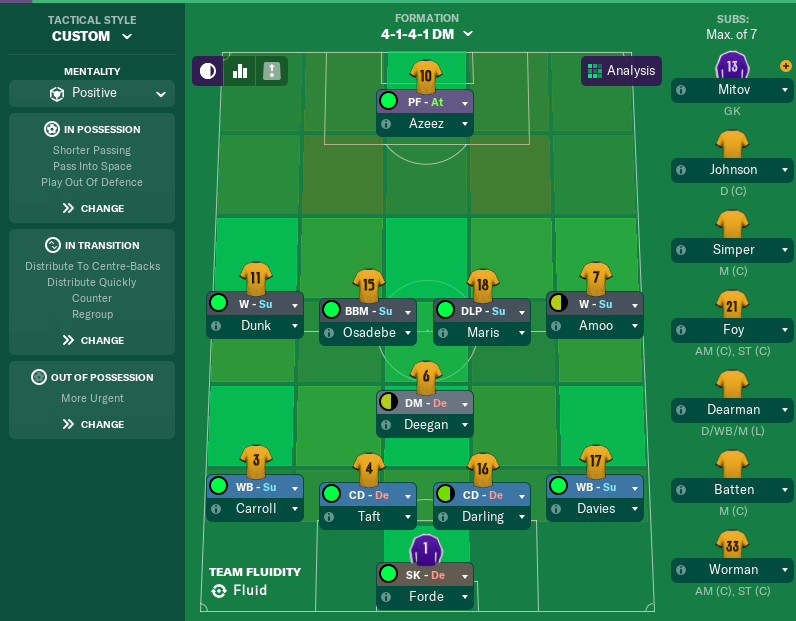 It's clear that none of our strikers are capable of playing up top on their own so I've started to work towards a front 2. 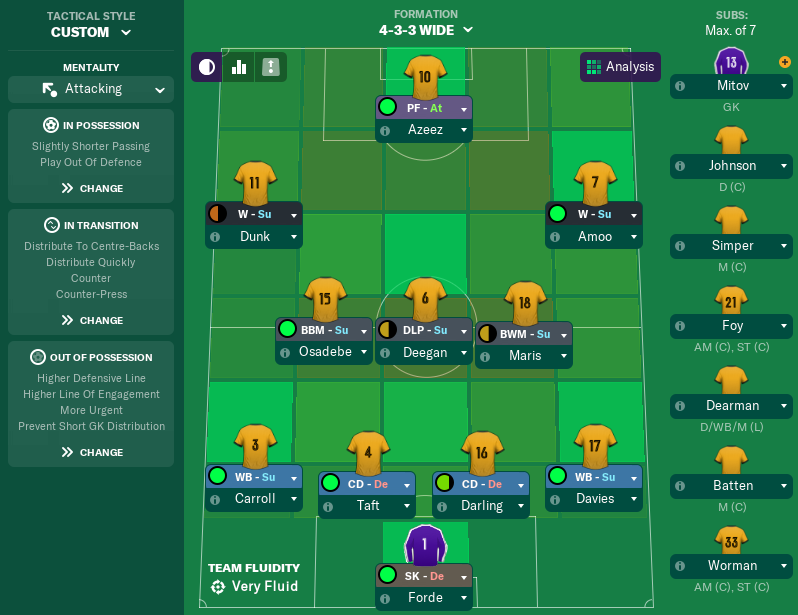 Without going more fancy with 3 at the back etc, I've gone with a 4-4-2 with an emphasis of playing it through the thirds. Managing: Stalybridge Celtic in a Dafuge Save! What does CHC mean on stats screen? I think it's related to the Equimagic DLC. Puts the horses in a dress, it's really f***ing sublime! Forget to eat, forget to sleep, just give him dancing horses! Good so far. Never mind the results on the pitch - I'm expecting to read all about the salacious details of the behaviour of the players, the staff, the chairman, other managers and so on. All anonymously, of course! Top marks, it is indeed! Oh there will be more to come - not enough people upset yet other than a couple of players wanting first team football and an idiot youngster missing training. Technical issues: no Wi-Fi at work to screenshot and update. Just got to end of December and want to continue in my lunch break! A fantastic couple of months in the league going unbeaten. Only games we've lost have been on pens in the FL Trophy on penalties and after extra time in the FA Cup replay against the 'other' CUFC. 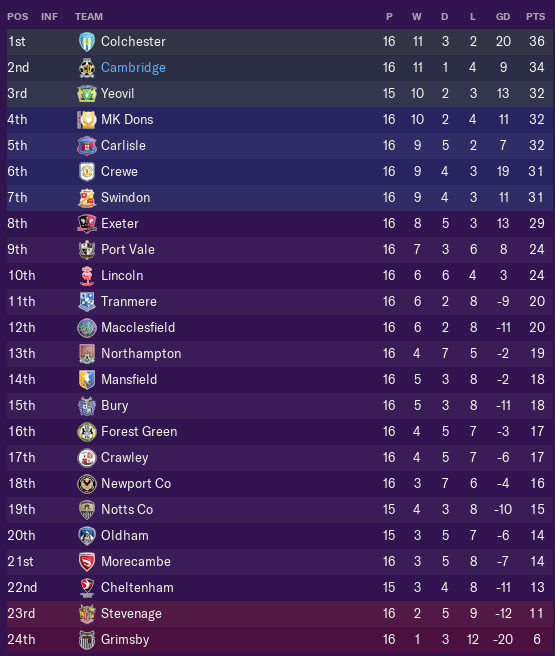 Colchester and the franchise are our closest title rivals. Bar a tragic 2nd half of the season League One football is looking likely for the first time - in 2002 it was still known as Division 2! A fair amount of rotation within the club, somewhat forced by injuries to key players such as Maris and Brown. First up - Big Dave secures another year at the helm of the U's. We've got the style nailed down pretty much, but in terms of formation we're still looking for the best balance. Ideally we'd have Brown in at AMC but we need a holding midfielder so there's a bit of a dilemma. We look shaky defensively without a holding midfielder! Barry Corr is a bit of a cult hero among a sector of the U's fans, but he's just so injury prone and has no mobility. 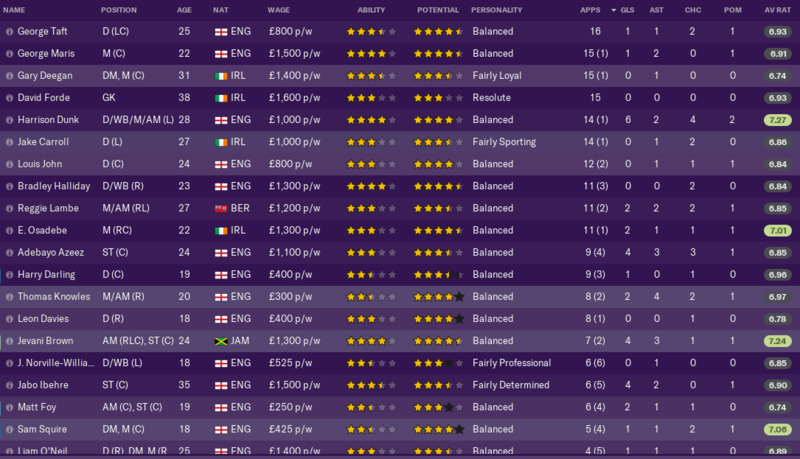 I'd like to bring in a TM type striker, but they need to be mobile in order to play up top on their own. I'm looking for the next Big Dave. A complete and utter tw@t off the field, but there's no doubting he has ability on it when his head is right. If he choses to sign for us he will get 6 months to impress. He's got the ability and mobility, but he might just be too much of a handful to deal with - could end up with Kitson and Ranger at loggerheads! Answer - it's fine. Feck off. O'Neil and Taylor were shyte and always will be. Reggie you've made an enemy. We fared better than IRL away at MK Franchise (6-0) but they're too good for this level. We managed to win against Chavenage but failed to win in a run of 6 games, partially duel to Nile Ranger who only had one good game but poisoned the club with his negativity and has since been released. See you next Tuesday. We're now back to scoring ways after his release, albeit without a talisman. Placide joined us on a free to replace the aging Forde, while we brought in 3 loans in Cornick, Close & Williams. First team moaners O'Neil and Taylor left the club while Foy, Mitov, Watkins and Darling sought first team football on loan. Samson Festus probably the best regen name I've seen. How come Nile acted so silly? Come on, he's playing for the official best club of England, show some respect eh. The toys have become seperated from the pram.